About 111,000 Quebec homes and businesses are still affected by the power outages just north of Montreal, with most in the regions of Laval, Lanaudière and the Laurentians. The Sir Wilfrid Laurier School Board has closed Pierre Elliott Trudeau Elementary, McCaig Elementary, Pinewood Elementary and Rosemere High. All other SWLSB schools will be open Wednesday. 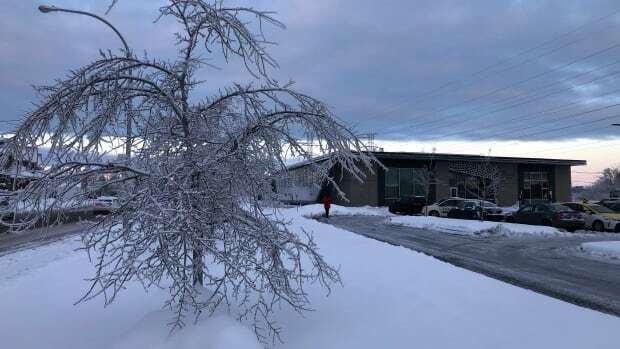 The Commission scolaire de Laval (CSDL) and Commission scolaire des Affluents have cancelled classes for the day, although some CSDL professional training centres are open. Commission scolaire de la Seigneurie-des-Mille-Iles has closed 22 facilities for the day. Some private schools, such as Collège Laval and Collège Letendre, have closed as well. Hydro-Québec has some 500 crews out working to restore power, and some crews came up from Vermont to help. In Laval, as many as 150 people stopped by the two shelters that were set up overnight to charge devices, take showers and warm up. Some stayed the night, using supplies provided by the Canadian Red Cross. McCormick lives alone and didn’t have anywhere else to go. As area hotels were quick to fill up, many people went to stay with friends and relatives. Laval police increased patrols overnight to keep an eye on vacant homes and check in with residents, providing information and making sure they were safe. Though there were several reports of fires and carbon monoxide poisonings on Tuesday, there were no such incidents overnight, police say.